We are back from a fabulous Leh Ladkh trip and although we travelled a little earlier than the main tourist season, it was a conscious decision to do that to avoid the crowd and enjoy the beauty of the place. The weather was still quite cold and we were glad that we carried heavy woollens along. Weather gets quite hot during the summers with temperature soaring to 30-32 degrees C and the sun shining even brighter. But the evenings are usually slightly cold and you must be prepared for a sudden weather change anytime of the year. Since we were travelling in end April, the scene was very different from what it could be after mid May when the roads open and supplies can come inside Leh. We went at the time when the region was almost out of all it’s supplies and was thriving on leftovers. We had to carry everything with us as there was no certainty of finding it there. Even the basics like toothpaste, snacks and moisturizer was difficult to source. While travelling to Leh Ladakh, I would highly suggest to take all your essentials along and not depend on buying it there. So do have a look at my list of Things to carry for Leh Ladakh Trip and make your trip a memorable one. Here is a list of things to carry for Leh ladakh trip. This is my personal list and these are the things I carried with me. Your requirements might be different than mine, so feel free to add or delete the things according to your needs. Cloths – Pack light and keep comfortable T shirts, jean and lowers to wear. You can do a lot of mix and match with your basic cloths. The temperature fluctuates a lot and so you want to dress up in layers. Keep warm inners which you can wear below your t shirt. I kept warm wool sweaters for the day and 2 heavy jackets which came in very handy as the air was piercing cold and only those jackets could have kept us warm. Carry enough undergarments because even if you give them for laundry, it will take 2 days to get them back. You will also want to pack a few pair of night wear. 2.Shoes – We didn’t do any serious trekking in our trip and so I was comfortable in my long leather boots and a few flat shoes. Carry a good sport shoes because you don’t know when you might need them. 3. Sunglasses and a sun hat is a must. The sun’s rays are very harsh at that height and you cannot do without wearing these two things. I suggest carrying two sunglasses in case you loose or break one. 4.Toiletries – Even the fanciest of hotels sometimes don’t provide you the basic toiletries. We left a few things back home assuming they will be provided by the hotels but had a tough time sourcing them in Ladakh. Yes, I am talking something as basic as toothpaste and shampoo conditioner. Here is what I would carry in my travel kit. Tooth brush, Tooth paste, face wash, shampoo, conditioner, body wash, sunscreen, moisturiser, hair brush, nail cutter, sanitary napkin, hand sanitiser, shaving kit, make up. 5. Medicines – Keep the basic medicines and a first aid kit in your luggage. Oxygen level in Ladakh region is very less and so it is advised to take a few doses of Dimox ( More on this in my next post ). Here is my list of medicines that we took along. Dimox, ENO, BandAid, Meftal Spas, Move, Levo Cetrizine, Vicks, Norflox, Omiprazole, Unienzyme, Sinarest, Calpol, Anti allergic Eye Drop, Combiflam, Soframycin, Perinon, Gelusil MPS, Honeytus and Stepils. 6. Gadgets – My trips cannot do without my camera and lenses and we had a minor mishap in this trip. I asked my husband to change the lens of the camera and it slipped his mind. So we reached Ladakh with a lens which is only good to shoot food so all my dreams of clicking Ladakh in all it’s glory came to a shatter. We could just about manage to get hold of a basic zoom lens finally. So if you are camera crazy kind of a person, make sure you pack all your necessary gadgets carefully. I usually carry my Camera, 18-300 zoom lens, 105 mm macro lens, camera charger, extra battery, and tripod. Add your own favourites to this list. 7. Carry a light backpack which you can stuff with snacks, water and other small things for day trips. 8. Carry your guide book, maps or any other notes that you have made for the travel. We make sure to buy a Lonely planet guide before every travel and use it as a base for our travel plan. 9. Keep printout of all your tickets and reservations. Internet access is also a challenge in Leh Ladakh so keeping the copies of all the necessary papers will help. Also keep photo id and a few passport size photos. You need a few permits to visit certain areas in Ladakh and might need these. 10. Binoculars to check out the distant peaks. 12 . Card games and books. 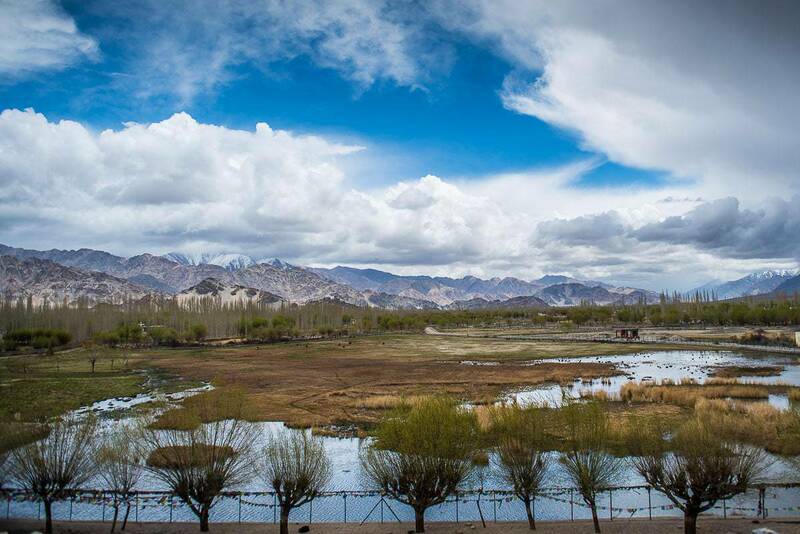 I hope we have covered most of the things you would want to pack for your Leh ladakh trip. Do let us know, if we have missed on something. Have a fabulous trip to this part of India and make sure to not disturb the natural beauty of this place. You might also want to check my post on basic things to remember while packing for Taiwan. It can be a little tricky sometimes. Visiting doctor and keeping handy your personal medicine is necessary for high altitude tour. Dimox tablets helps for high altitude sickness you should start taking it few days before your tour or speak with doctor. 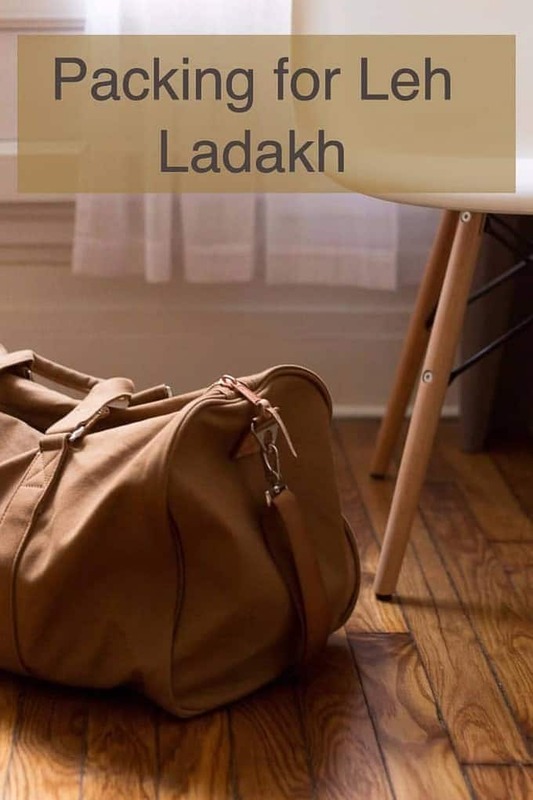 Amazing tips to carry for Ladakh trip thanks for the information, I m visiting Ladakh next month and I was totally indecisive what all things to carry and what all things should be avoided thanks for the great share. Thnx 🙂 Enjoy your trip.